Captain John “Black Jack” Geary’s legendary exploits are known to every schoolchild. Revered for his heroic “last stand” in the early days of the war, he was presumed dead. But a century later, Geary miraculously returns from survival hibernation and reluctantly takes command of the Alliance Fleet as it faces annihilation by the Syndic. Quite enjoyed the book! I was pleasantly surprised by the amount of politics and the military factor. Reads like an old navy war novel with a modern twist. This is an excellent debut instalment in a series. 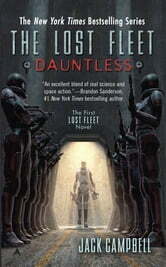 In comparison to similar books in the genre Jack Campbell does not resort to a Deus ex Machina technical advantage or "stupid opponents" to allow his protagonist to succeed. Instead, he posits that a July attritional war that has lasted over generations has slowly reduced the professionalism of the two sides until they are essentially reduced to head long charges at each other. The protagonist, who has been hibernating throughout this period of time, comes back and begins to recreate a professional navy with all the attendant challenges. Excellent read with good, sparse prose. 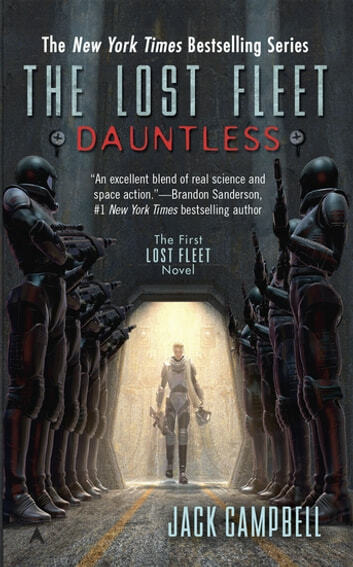 An excellent start to what promises to be an excellent military sci-fi saga. The author clearly knows some of the motivations faced by the military and extrapolates these seamlessly into the far future. The characters, in the mold of this milieu are the required degrees of stoic and/or tortured and self doubting without ever losing their essential believability or humanity. The action is convincing without ever becoming bogged down in the "how" of any of the events being accomplished. Highly recommended. Absolutely fantastic. Definitely will keep u on the edge of ur seats.